Testimonials AT T. HOWELL & SONS LTD WE'RE PROUD OF OUR OUTSTANDING REPUTATION! “Sue and I were extremely pleased with the two extensions that we had done on our property by T Howell and Sons. 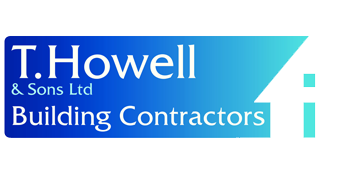 "Whilst we were in business locally T.Howell & Sons did all our building work for over 30 years. Upon our retirement we viewed several properties but none came up to the standard we were looking for. We were fortunate to acquire a site in a much sought after village and had no hesitation in asking T.Howell & Sons to quote for our house.